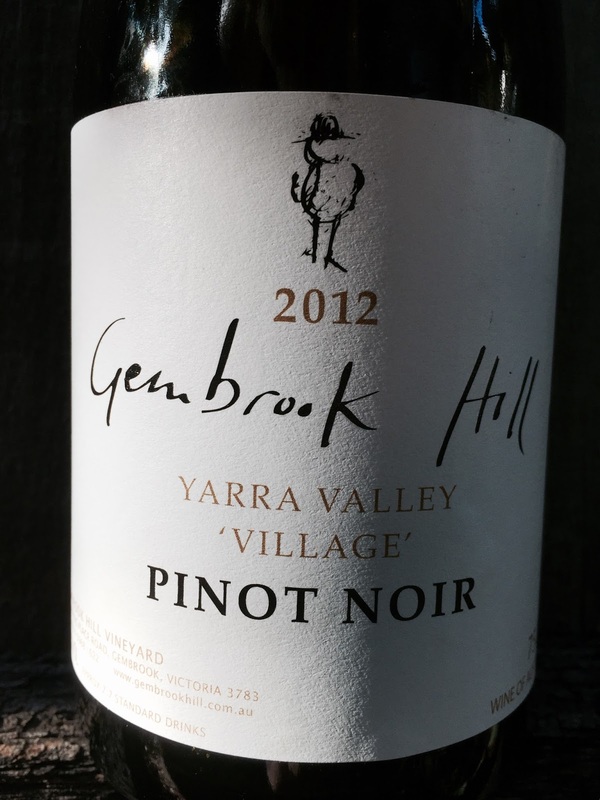 Gembrook Hill is in the upper Yarra Valley and like a couple of wineries produce a “Village” pinot noir, providing an easy reference point as to its influence and its likely quality aspirations. The viticulture ticks boxes. Hand pruned (tho’ one hopes that any serious wine producer is not machine pruning), non-irrigated (tho’ again irrigation is not generally needed in these parts) and densely planted at 3,333 vines per hectare to control vigour. There is just 2.2 hectares of pinot noir. The winemakers are Timo Mayer and Andrew Marks. In the glass, the 2012 vintage tasted here is a delicate wine, with gentle aromatics of cherry and spice. The palate is quite elegant and balanced, with light cherry nuances.